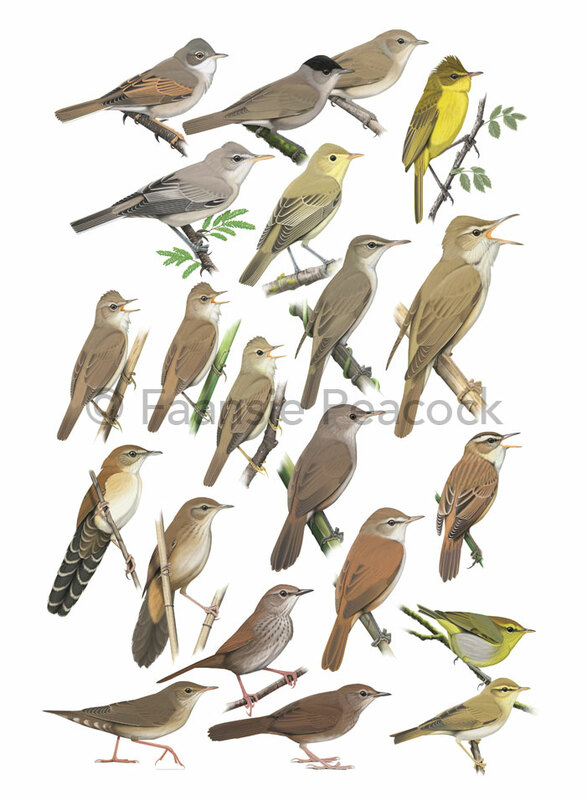 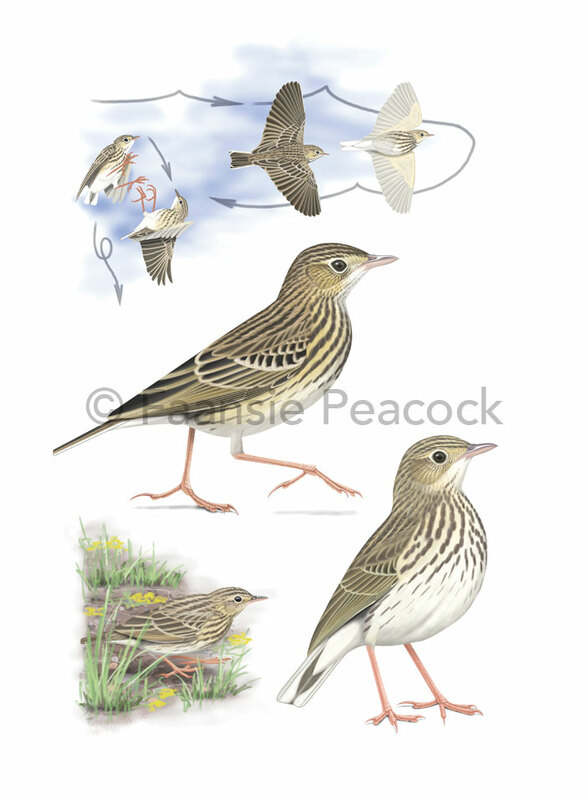 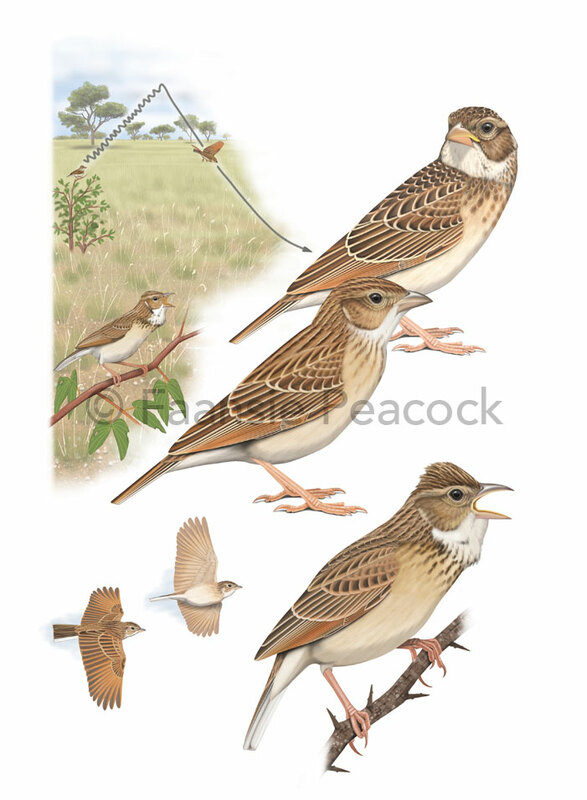 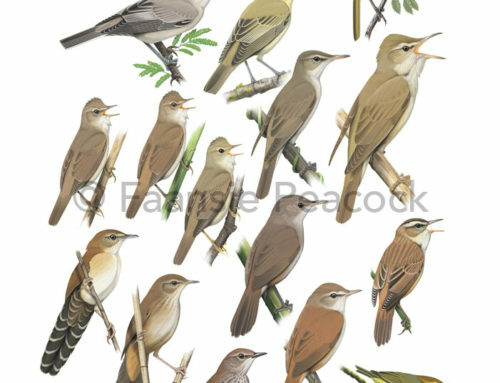 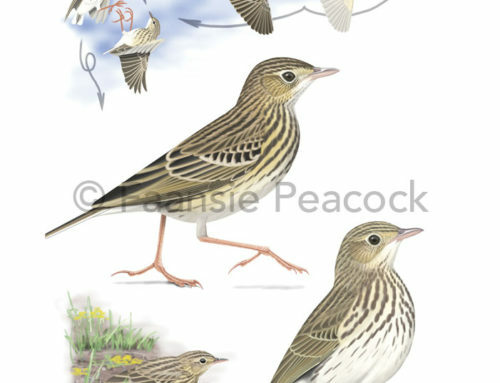 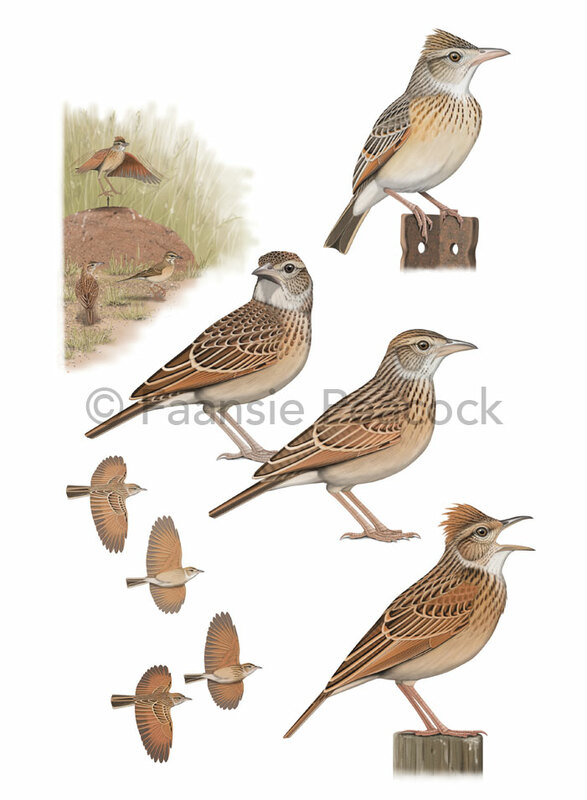 The Agulhas Long-billed Lark Certhilauda brevirostris was originally described by Austin Roberts in 1941, but was subsequently lumped into a single wide-ranging species, Long-billed Lark C. curvirostris. 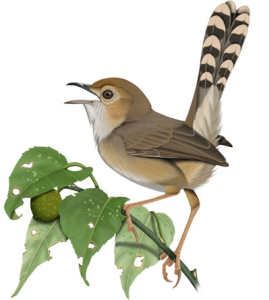 Detailed research in the late 1990s, focusing particularly on genetic data re-erected this taxon as a full species. 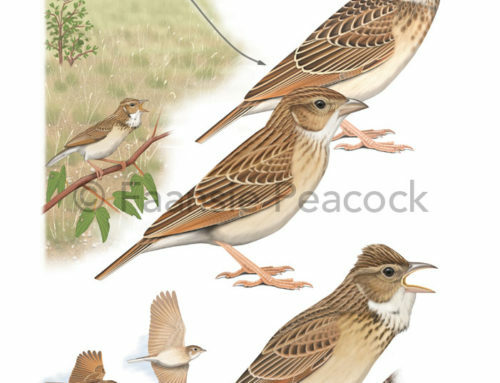 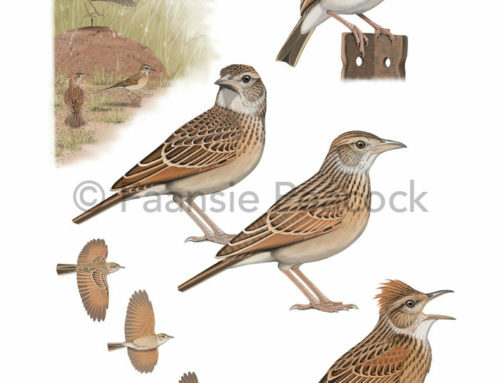 Of the six Certhilauda larks in southern Africa, this is by far the most restricted species, with its entire global range wedged between the Atlantic/Indian Ocean and the Cape Fold Mountains. 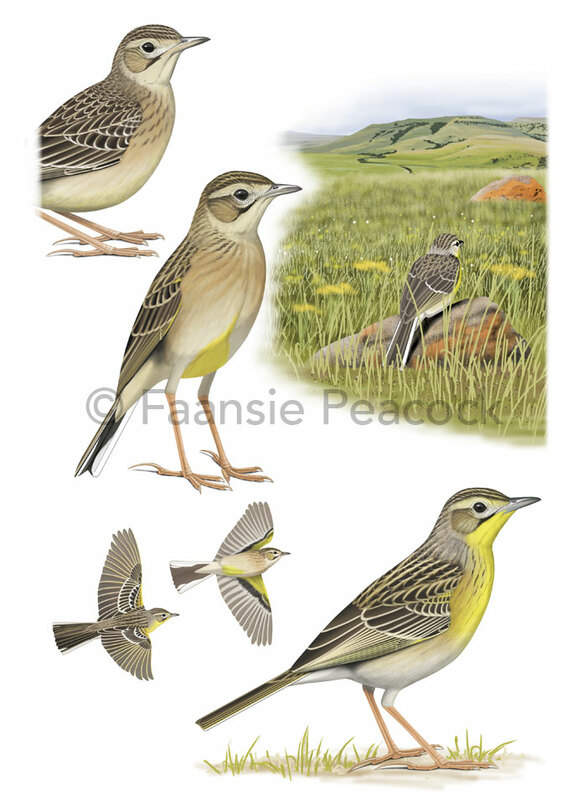 On this narrow strip of land, the Agulhas Plain, this species can be quite common in open, scrubby habitats. 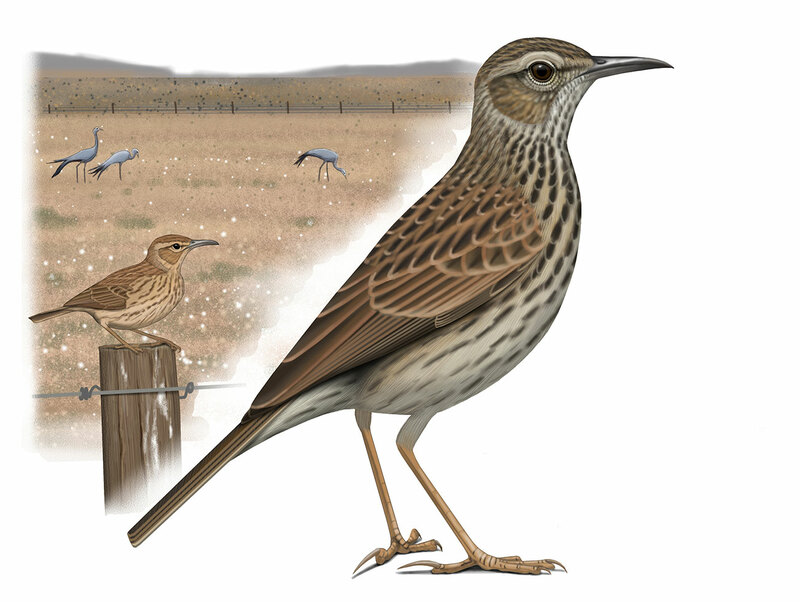 It has also partly adapted to the widescale land transformation for wheat production, and can be found in open fields where there is some natural scrub pockets nearby. 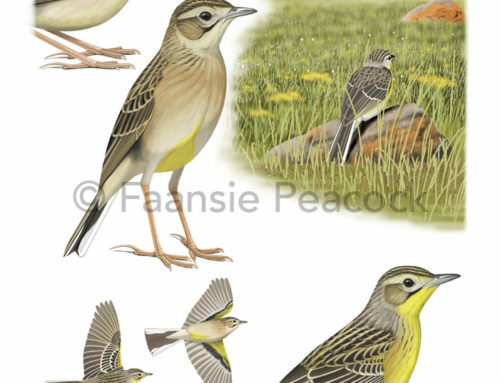 As shown in this image, there is another species which has adapted to such altered habitats and which is commonly found alongside this lark: South Africa’s national bird, the Blue Crane.